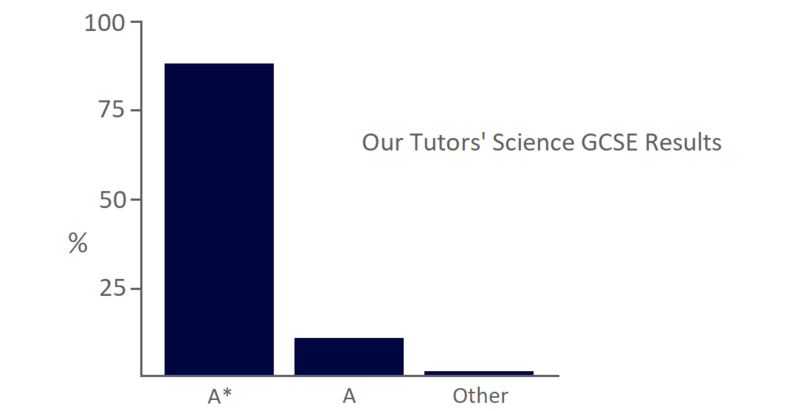 Choosing a Blue Tutor to help with GCSE Science means being tutored by one of the best science graduates in the country. Our tutors were taught one-to-one via the tutorial system at Oxbridge by world-leading, sometimes Nobel Prize winning, scientists. Not only does this make them unparalleled academics, but because of their interest in Science your tutor has kept up with the new 1-9 GCSE grade system, and knows the popular examining boards, such as AQA, OCR and Edexcel, inside out. At Cambridge University the Natural Sciences course gives our tutors a breadth of knowledge across all of Biology, Chemistry and Physics, and our tutors from Oxford are often equally interested in all the Sciences, not just their specialisation. A large number of our Science tutors remain in jobs using their degree, including postgraduate study, research, and medicine; their enthusiasm and experience relates just how useful science is, and why it's important. Bringing to life concepts like Genetics, the Periodic Table and Electromagnetism is something for which our tutors have a passion, and they pass it on to their students. Something all of our tutors have in common is a gift for their chosen subject, and whether it's GCSE Double Award Science, or the Single Sciences (Biology, Chemistry and Physics), your tutor will help to develop an in depth understanding of Science and improve confidence. Our students see their tutors not just as someone to help improve GCSE grades, but also as a role model, someone who has changed their attitude towards studying.